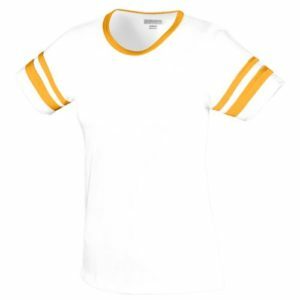 Are you looking for cheer shirts for yourself or your cheer team? 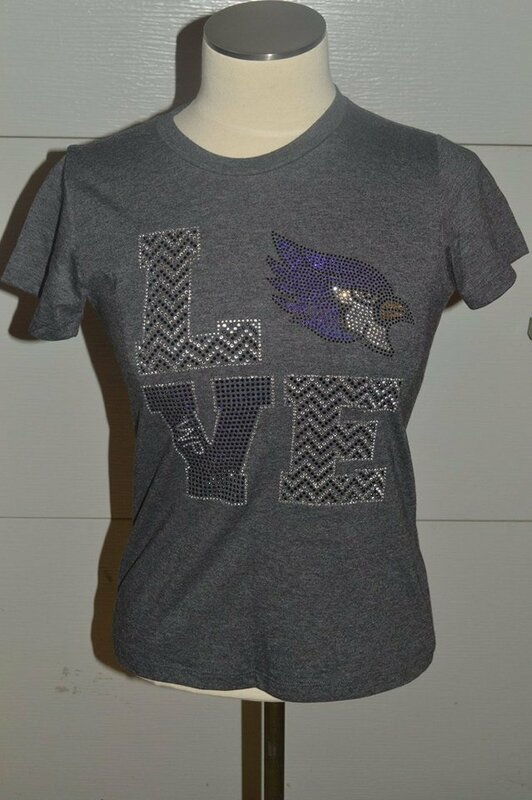 Crystallized Couture specializes in bling cheer apparel, and creating cheer shirts for cheerleaders and/or cheer teams is part of that. 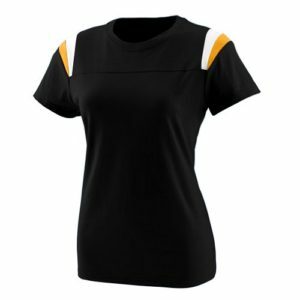 We love helping people and teams, so as our business has changed over the last couple years and we found our niche in doing dance and cheer apparel; we came up with some programs to help raise more money for those cheer teams. 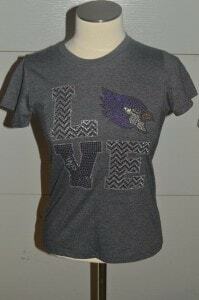 We also have special shirts that we can make for family members that want to support the team. Let us help you create custom shirts for your team to show support for your cheer team as well as the team you are cheering for. 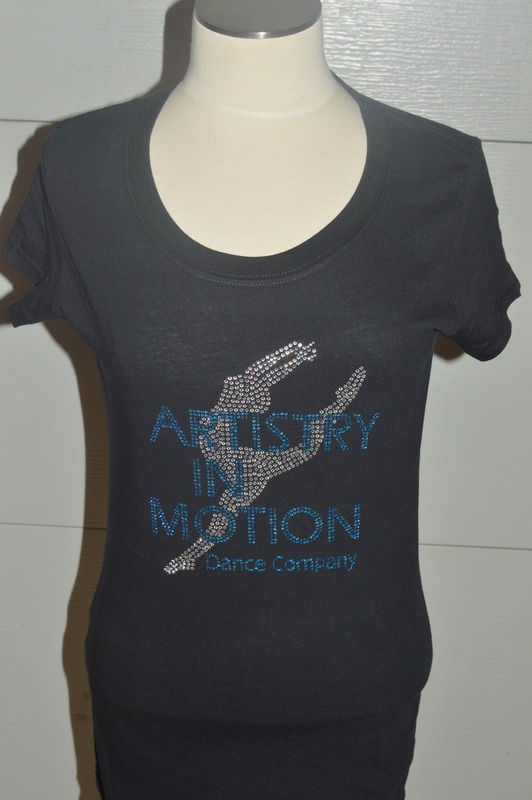 We can customize the shirts with a variety of different styles and colors, as well as colors of rhinestones. If you want cheer jackets, we can also do those for you as well. Call Nicolette today to discuss different styles, colors, and ideas that Crystallized Couture can help you and your team both raise money and look great doing it. 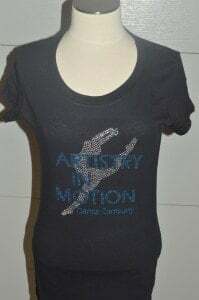 The different styles and colors below are not all we have available, just an example of a couple shirts available. We can can pretty much get almost any style or color you may need to help support your team and their colors. Custom cheer shirt for West Platte team. 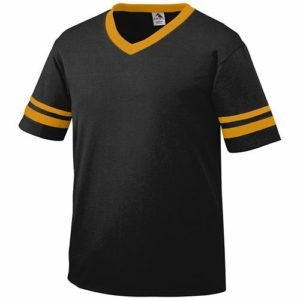 We have a variety of different styles for your shirts. 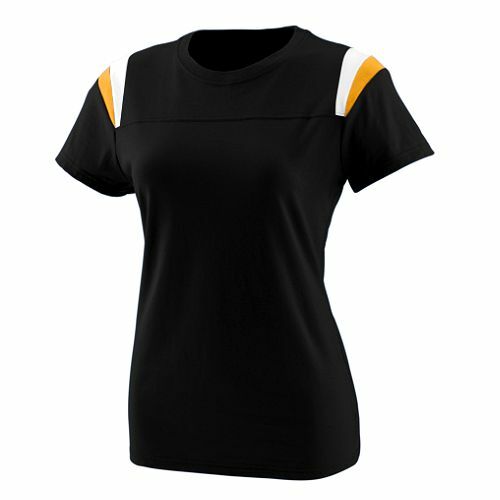 We have a variety of different styles and colors that will be able to match your team colors. We have different shirt styles to use for yourself or team fundraisers.